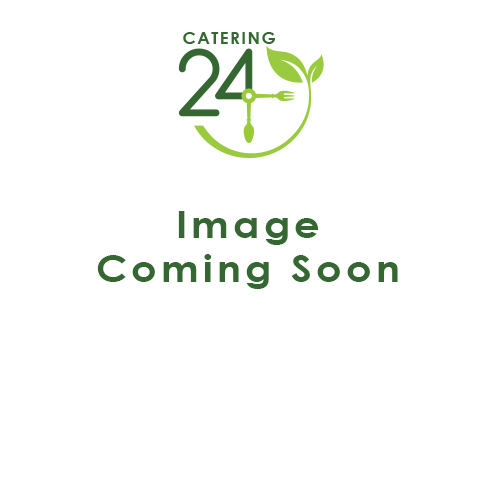 Catering24 is the No.1 UK catering supplier, stocking essential equipment at the best prices. Order the highest quality products for your business. Catering24 stocks over 1,000 different catering supplies to suit all types of businesses, including streetfood vendors, outside caterers, schools, cafes, restaurants and many more. Our customers enjoy super-fast delivery with late ordering times, quality materials and dozens of eco-friendly options. Order your catering supplies by 4pm Monday-Friday for next working day delivery. If your order is over £100 we’ll send you your products free! We have experience working with big name brands, delivering the catering supplies they require in bulk. Alongside our great product range, excellent service is at the heart of who we are. We also pride ourselves on our website. We invest a lot of time & funds into maintaining & improving it so that our customers to order their catering equipment quickly and efficiently. Environmental packaging has become a big part of our customers' needs which is why we have a dedicated range of plastic-free biodegradable packaging.Many of Catering24’s disposable products are recyclable to ensure that you can meet all the requirements of your waste providers. Each product has details such as dimensions, volume and environmental attributes to help you find the perfect supplies. If you do need assistance we will be more than happy to help and can give advice on the best equipment for your particular needs. Food packaging and disposable cups have the potential to be so much more than containers for food and drink. Not only should they keep your products warm, clean and easy to consume, they should also add value to your service. The customer’s perception of a product is key. A silky-smooth barista coffee could be served for £1.00 in a polystyrene cup or you could pay 5p more for a compostable paper cup and sell it for £2.50! The presentation of your food and drink is almost as important as the taste. If at any time you would like help in using our website or you have questions on our products or service, feel free to contact us. We’re always happy to help our customers find exactly what they’re looking for. Which Paper Cups are right for my Business?